An advertisement from the Rialto’s earliest days, showing a Barrymore of earlier fame – Lionel Barrymore was Drew Barrymore’s great-uncle. How you know Lowell’s Rialto Building is largely determined by when you grew up. 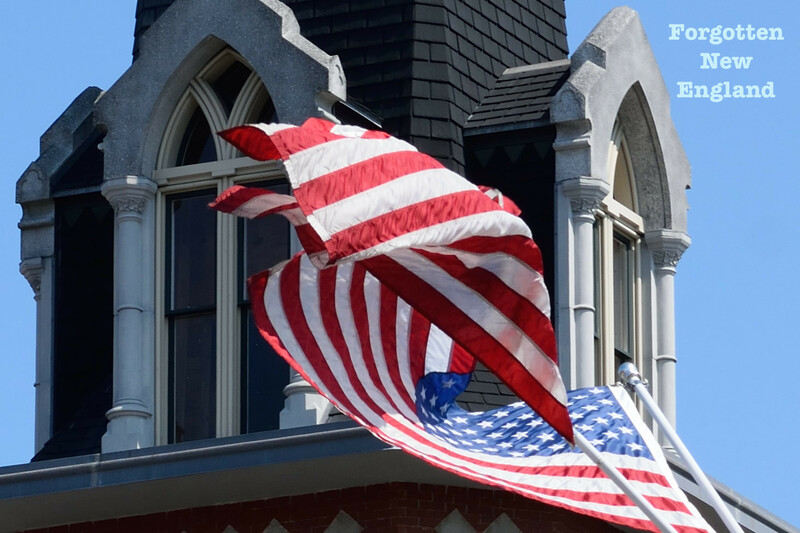 To the oldest among us, the Victorian-era building that has dominated Towers Corner for 140 years is the Rialto Theatre – famous for first trips to the movies, to movies that have long since become classics. The Rialto Theatre thrived at Towers Corner on Lowell’s Central Street for years, and first opened its doors in 1920. Moviegoers sought out the first-class venue, especially on warm summer evenings, when its sliding roof opened up to a starlit sky, and treated patrons to an open air theater. The Rialto long served as one of Lowell’s best known movie theaters, for over 40 years, until its last days in 1961. However, if you’re younger than, say … 55, and don’t clearly recall the days before the Kennedy administration, you might better remember the Rialto Lanes, which followed the Rialto Theatre, and occupied the Central Street site for another generation, from 1961 to 1984. Offering 18 lanes of duckpin bowling, the Rialto Lanes advertised itself as a ‘family bowling center’ and offered ice-cold air conditioning as well as ‘lightning quick’ lanes. And, then there was the Sherwin Williams store that was there too, remembered by the younger Gen X’ers among us. But, if you’re under 35, you probably only remember the Rialto Building as a boxy, abandoned eyesore that stood boarded up at the entrance to Lowell’s downtown district for about as long as you can remember. By the late 1980s, the Rialto stood vacant, a shadow of what it was, threatened by the wrecking ball until it was saved in 1989 by the Lowell Historic Preservation Commission. 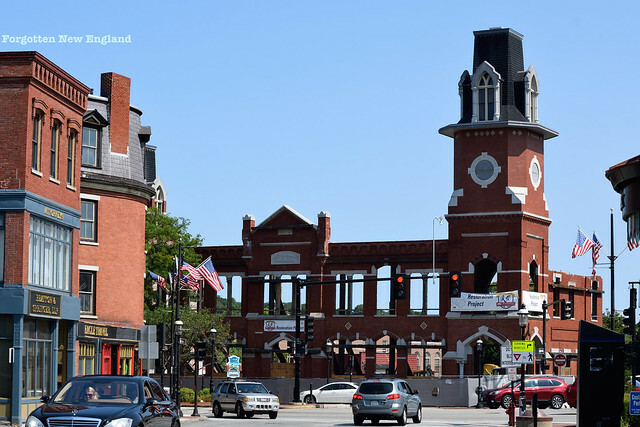 Over the next 15 years, the Lowell National Historic Park restored the Rialto Building, adding back its cornice and the two towers that it had lost somewhere along the way, probably in the 1940s. Glass replaced the boards that had covered the windows for years. A new roof was installed. Middlesex Community College has acquired the building and began major renovations to transform it into an academic arts center, featuring a performance theatre, musical recital hall, and classrooms for music, dance, and theatre. The Rialto Building has had a long history, and been a lot of things. In the memories of past generations, the Rialto building once housed an earlier theatre, the Owl. And, before its theatre days (you’d have to go back before 1913 for that), New England Telephone & Telegraph housed offices in the building. An advertisement for the Owl, a short-lived movie theatre that occupied the Rialto site from 1913-20. The building’s earliest use, though, is documented right on the building’s facade, for all to see. Its first use was as the Boston & Maine Railroad’s Central Street depot. 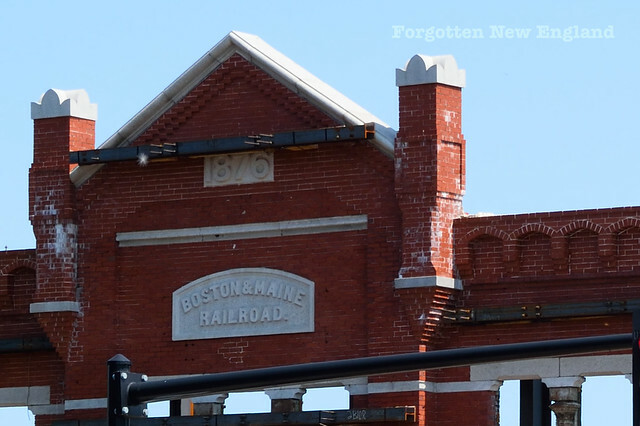 Built in 1876, the B&M used the building for just 20 years before moving operations to the Boston & Lowell’s Northern depot on Middlesex Street. 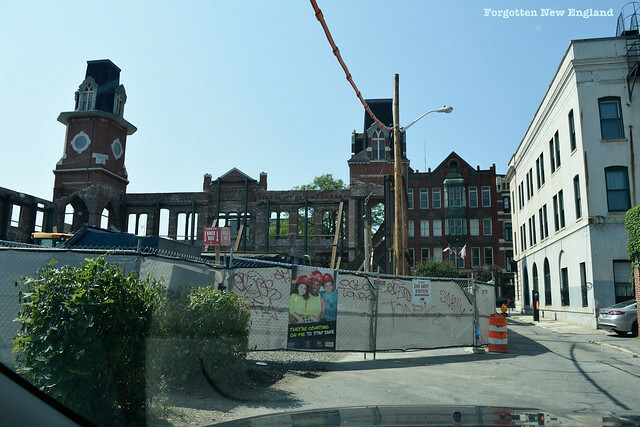 Thanks to the efforts of so many, the Rialto Building now joins the long list of buildings saved from the wrecking ball so that future generations can see, savor, and experience a piece of Lowell’s past. 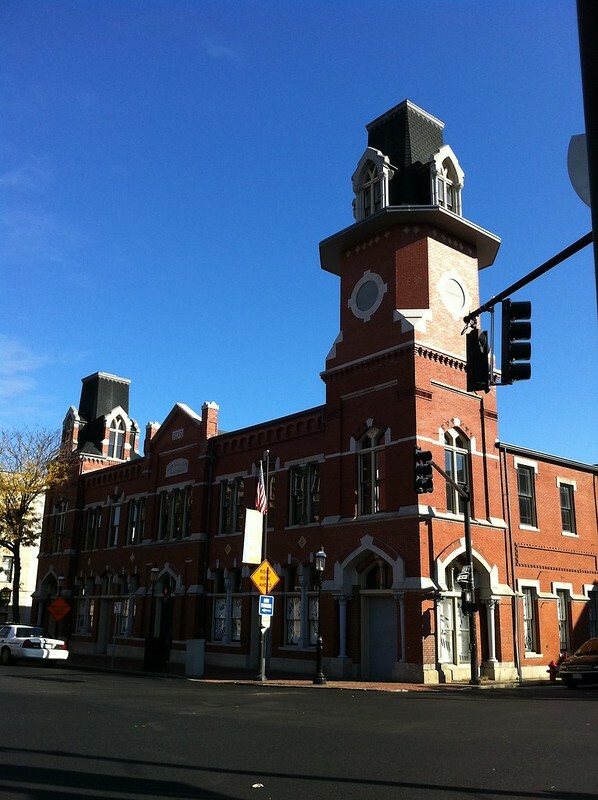 And, for the first time in more than a generation, the building will once again serve the downtown community, and contribute to the continued revitalization of Downtown Lowell. I remember RIALTO fondly as a young teenage man back around late 1970s when it was a bowling alley. I use to be part of a league and bowled there about once a week. I can still remember what the inside looked like, even after 30+ years and boy did I ever love that pizza place called Expresso. Now, that I live in Tampa, I’m not sure what still exist on Central Street in Lowell. B&M didn’t move the depot to Thorndike Street. That Depot has a long history. B&M acquired the Boston & Lowell and for a time the two lines were in competition over different routes. Hi Joe, thanks for catching that. I’ll rephrase it so it’s more accurate. Can someone expand on the specific location of the original depot? I recall it’s being on Middlesex St. Under the current overpass location. I also recall a hilly street that went from Appleton to Middlesex . There was a little store on this hill where one bought papers,coffee etc. I recall thinking it was a crazy place to stop a car to run in as the street was quite narrow. Comments? Hi Jim, The B&L Depot was right where the Lord Overpass is now. There’s some great photos of it floating around on the net. I think I have one from the 1940s on my site.